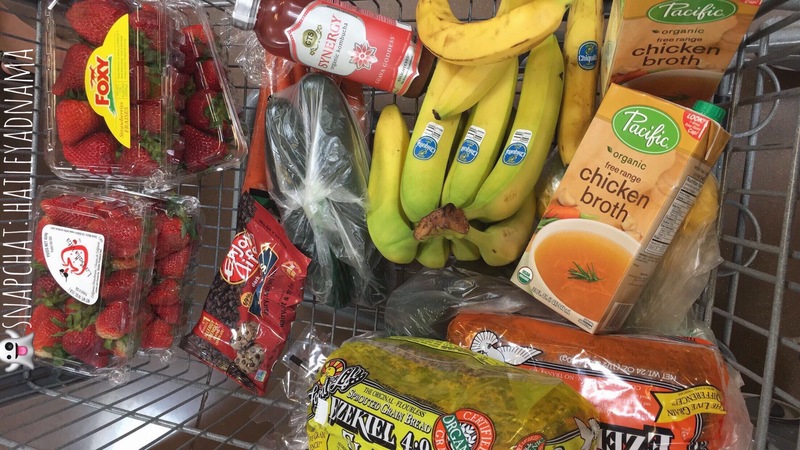 let me give you a glimpse into how much I truly l o v e grocery shopping because it’s one of my favorite things. Way more exciting to me than clothes shopping. Yes, of course clothes make you look and feel good. However, when it comes to FOOD, nothing like a good meal to make me feel incredible. That’s just simply why I love fitness & health– because of the nutrition side of the spectrum. There is a FOOD for literally everything. I believe you can cure any sickness, mood or life problem simply by eating/drinking particular NATURAL food & drink. I just got done having bone broth from Lauryn Evart’s “bombshell body guide” and my cold is suppressed MAJORLY & i’m buzzing off the walls with energy. YUM. I’m definitely going to be incorporating bone broth more often. The benefits of the broth are crazy (read here), so I’m really thanking God for this cold because it forced me to make bone broth (lol)!!! On the other side, if I eat the wrong foods (unnatural, full of preservatives, chemicals, fast food etc) I can REALLY turn into a grouch and harm myself for DAYS. It’s CRAZYYYY. So I am breaking down my cannot-live-without weekly foods I HAVE to have in my kitchen lately ! I’m even the type of person who LOVES to write my list out on an actual piece of paper. I feel so satisfied when I cross off each item!! Am I the only one?? lol. Every morning I have Kodiak cakes (protein packed , wholesome ingredient waffle mix) with fruit, peanut butter & 100% organic maple syrup. Or I will have steel-cut oats with chia seeds + 2 eggs. For a snack I love to have a protein shake: frozen berries, banana, plant-based protein powder, almond milk, almond butter. For lunch: Asian Salad kit + balsamic vin & some sunflower seeds. Snack: Rx bar (the best protein bar on the planet) & carrots + cucumber & hummus. Dinner: Shredded chicken breast, rice (with liquid aminos over top) & mixed veggies. I NEVER skip dessert–Usually I have Halo top ice cream. 😉 If you haven’t tried it, it’s low-calorie, protein packed ice cream and the ingredients aren’t half bad. You’re welcome! 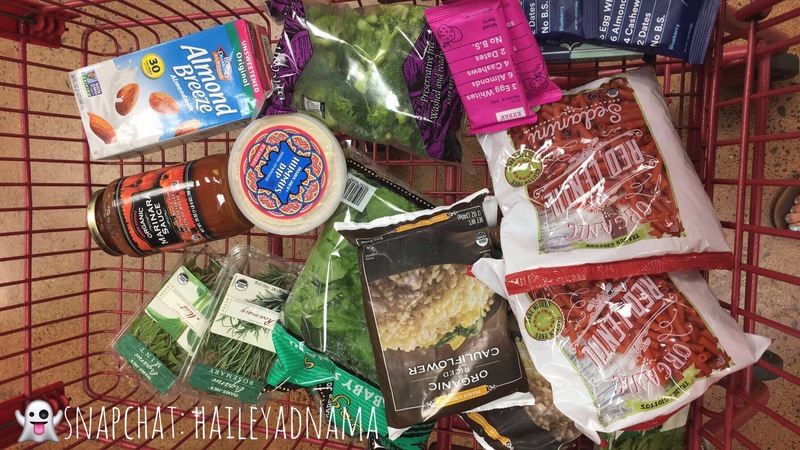 My favorite places to grocery shop right now are Trader Joes & Sprouts. I can’t afford to go there every trip, when I do though I am on cloud 9!